Fundraiser for Agata Wszolek by Haley Brooke Johnson : Site 3 needs your help! Site 3 needs your help! Site 3 coLab needs your help! The space where we create, may have to shut the doors without your help! 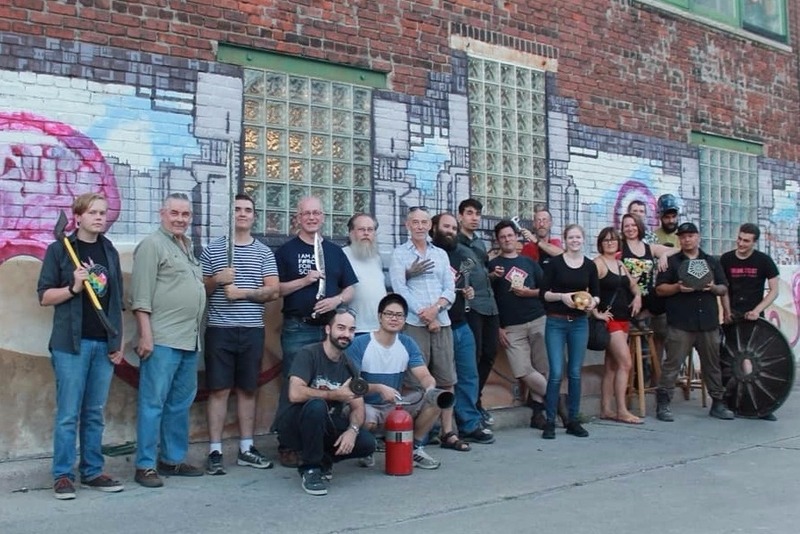 Site 3 coLaboratory is one of Toronto’s oldest makerspaces, and has been a second home for artists, woodworkers, electronics enthusiasts and welders for over 8 years! 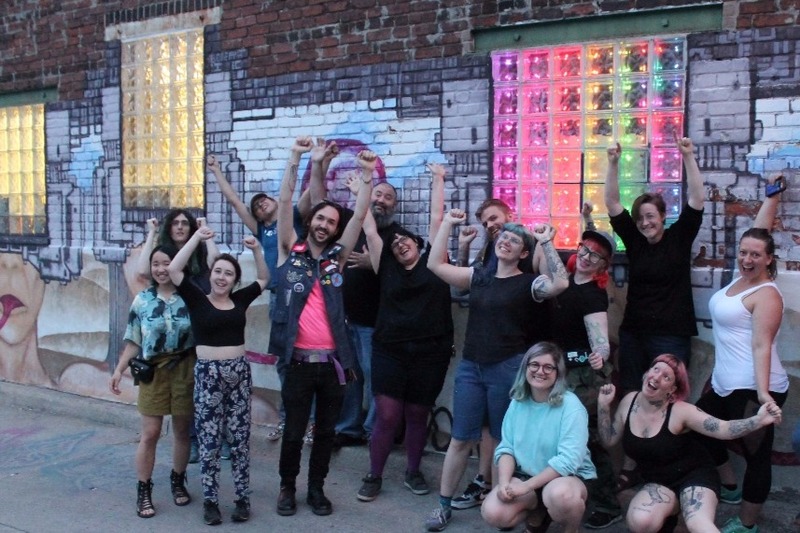 For nearly a decade, Site 3 has been a pivotal part of the Toronto maker scene, providing access to tools, hosting community events and classes. It's a space for meeting like-minded people who enable us to learn, teach and inspire others. Many of us wouldn’t have had the opportunity, resources or confidence to learn power tools or machines without an actively welcoming space like Site 3. 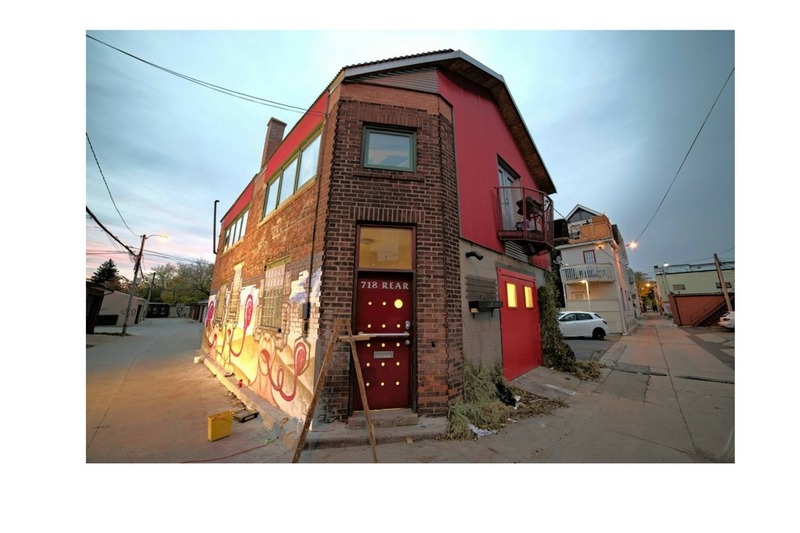 Through weekly open houses and women's and LGBTQ alliance nights, Site 3 empowers a community. Site 3 is in financial trouble due to historical tax obligations. We need your help and the help of our community to raise this money! We are a fully volunteer run organization, and need the support of people like you - those who live in the community, are affected by it, or even those who enjoy interacting with art. Please support and grow with our community in our time of need! We've kept our doors open for eight years through community and volunteer effort, and hopefully we don't have to close them now. Toronto would be losing a part of its ability to grow and learn, and the community involvement it is known for. There's no other space like ours in the city. Site 3 coLaboratory Centre for Art and Technology is a 100% volunteer run, member funded, non-profit makerspace in downtown Toronto. It first opened its doors on Canada Day in 2010 with a vision to focus on the intersection of art and technology. The vision for Site 3 is to have a space that promotes a four step cycle of create, display, teach and inspire. Everyone who is an admin or volunteer started as a member who wanted to make the shop better and help run the shop. It takes a lot of work to keep things moving, and we do it because Site 3 means so much to all of us. Every member of Site 3 is a part of the shop and can make a difference! Thank you for helping and being a part of Site 3's legacy, and thank you from everyone for your contributions to keep this place alive! "Took my first ever welding class and absolutely fell in love with it! Shan was a great teacher that was extremely patient, highly knowledgeable and obviously is passionate about his craft. At the end, I came away with a sweet little fire bird and a new curiosity that I hope to explore. I will definitely be back for more classes and projects at this very vibrant community." "A thriving community of awesome people who make things at a space packed with tools and equipment, and plenty of opportunities to learn how to use it all. I joke that my basement would be half as full if I'd discovered Site 3 a few years ago, but the reality is it's no joke." "When art, science, technology, and design all get a chance to mingle, wonderful things happen"
Thank you to everyone for participating and donating into our GoFundMe account. There were a lot of hands helping run fundraisers and events to help speed this process along with everyone's monetary contributions. With all of your help we have been able to successfully reach our ultimate goal of paying off our taxes!!! yay!!! The taxes owed were $20,000 which we paid off with the GoFundMe donations, classes being run, events/fundraisers being held. We are currently still looking to fund a functional toilet for Site 3. If you think this could be useful at the shop, we are accepting donations towards that. You can email to treasurer@site3.ca with the subject 'donation'. Follow us on our Facebook page for more upcoming events at Site3! We had an incredible showing if support so far from the community and just want to thank you all so much! We have just under $10,000 left to raise! Next goal is to hit $20,000 and we will purchase the most exciting upgrade of all - a compostable toilet for the shop!!! Please keep the support going!!! The support has been amazing!!! Thank you all for the donations and kind words! If you want to check out some of the great art we have, come out to the shop for Nuit Blanche! Thank you! Thank you everyone who has donated so far! We are getting ourselves in the clear with the CRA now, so Site 3 can stay alive! We are half way through our goal, and have received tremendous support so far. Keep sharing, keep spreading the love. Now to get us a working toilet!